VIDEOS HERE: https://www.tree-of-life.works/greatness Interviews with leading climate scientists. activists, sustainability experts, and those who can help us stay inspired in the face of terrifying possibilities. ... DESCRIPTION: A worldwide movement is emerging at the nexus of science, inspiration, and sustainability. Beliefs are secondary. What unites us is a pool of shared values and commitments—and the vision of a just and healthy future for humanity and the larger body of life. ... This historic series of 30-60 minute Skype interviews showcases the work of many of today’s leaders and luminaries regarding what to expect in the decades ahead, what’s being done—what still needs to be done — and how to be in action despite enormous challenges. 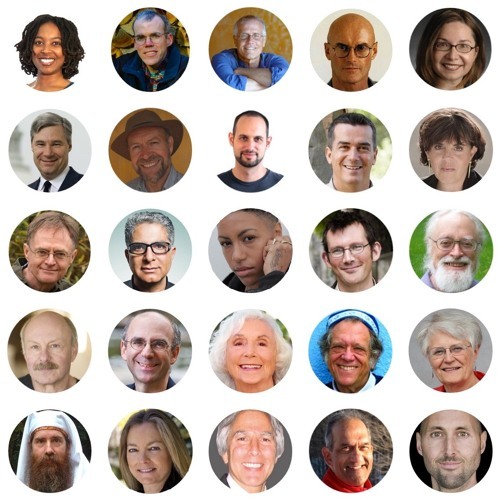 These 55 experts represent a veritable Who’s Who of prophetic inspiration.